Car and Technology Partner of the FIBT World Cup, World Championships and Federation', as well as 'Title Sponsor of the FIBT World Championships'. BMW will be at the 'Home World Championships' taking place in Winterberg, German region of Sauerland, in February 2015 for the first time as title sponsor of the '2015 BMW FIBT Bob & Skeleton World Championships'. "The BMW commitment to bobsleighing has tradition at BMW. The technology partnership has linked us with the German Bobsleigh, Luge, and Skeleton Federation since 2010," said Friedrich Edel, Head of Sports Marketing BMW Deutschland. "As of next season, BMW will also be present on an international level as the partner of the International Bobsleigh & Skeleton Federation." 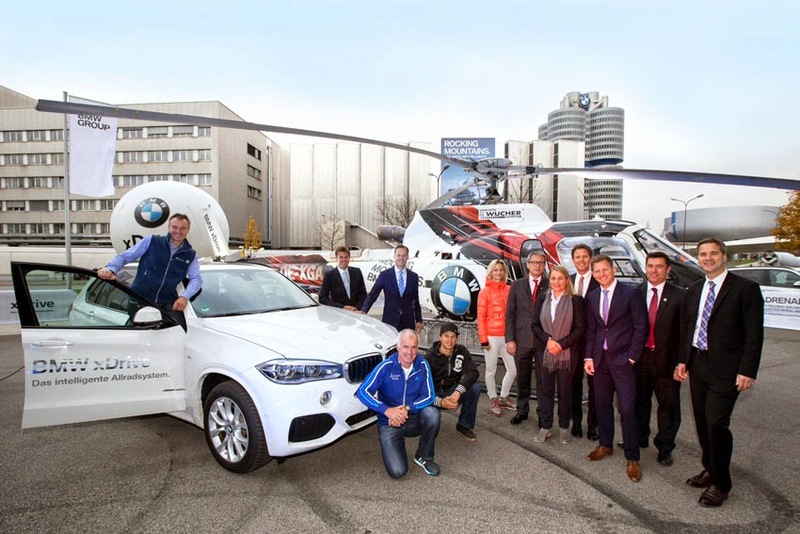 "We are delighted with BMW's commitment to bobsleighing and skeleton. BMW is not only an outstanding brand that is highly regarded throughout the world, just like its excellent cars. The enterprise also enjoys a successful tradition as a committed winter sports partner. On behalf of FIBT and all the athletes, I would like to say that we are looking forward to the debut season with our new main sponsor BMW, in particular to the BMW FIBT Bob & Skeleton World Championships in Germany," said Ivo Ferriani, President, FIBT.